FREE 5 Fat Quarter Fun project! Amanda and I are having so much fun designing these free patterns for you each month! Thank you to those of you who have emailed us with pictures of your 5 Fat Quarter Fun projects! It's so fun to see the spin you put on them and we love to see that they're getting used! 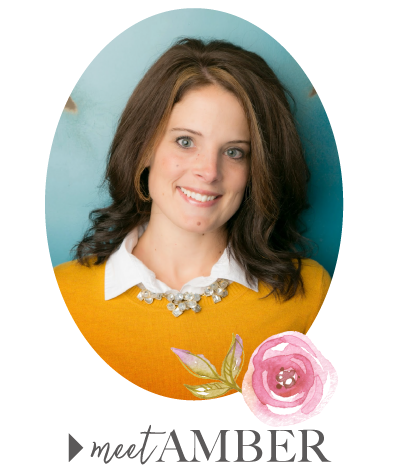 We were able to meet up at Gardner Village for lunch and retail therapy last month when Amanda was in Utah for a few days. We made some fun plans for the next few months of Five Fat Quarter Fun projects so stay tuned! 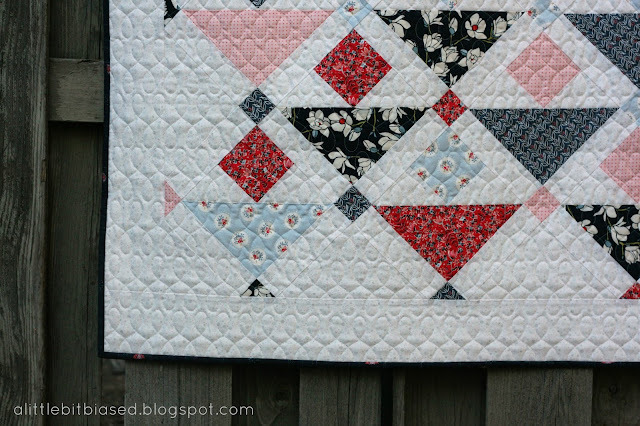 Today we have an on-point quilt pattern for you called May Flowers! 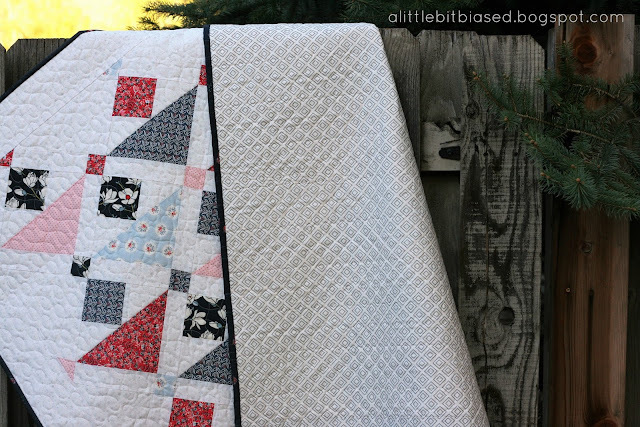 If you haven't made an on-point quilt (or you've been avoiding it because the term "on-point" intimidates you) then now is the perfect time to try! This quilt finishes at 51" x 61" (so it's not super big) and we've already figured out the math for those corner and side setting triangles. Assembly is pretty much the same as a regular quilt except you sew the rows together diagonally! Easy peasy! 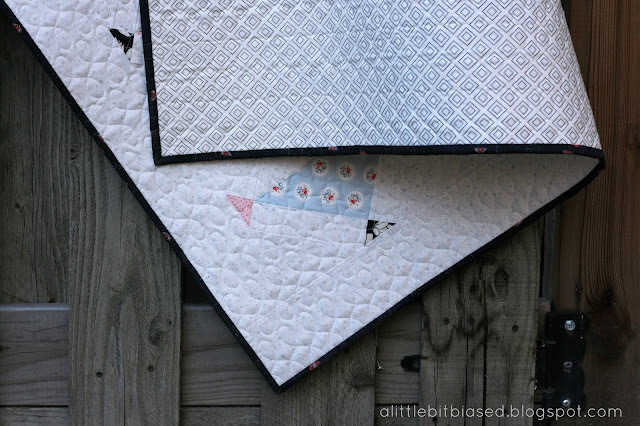 This month, Amanda and I both used the same fat quarters but chose different background fabrics. My background (the white, speckled fabric in the middle, above) is Quilters Basic Harmony #MCS 16-77 by Stoff Fabrics. 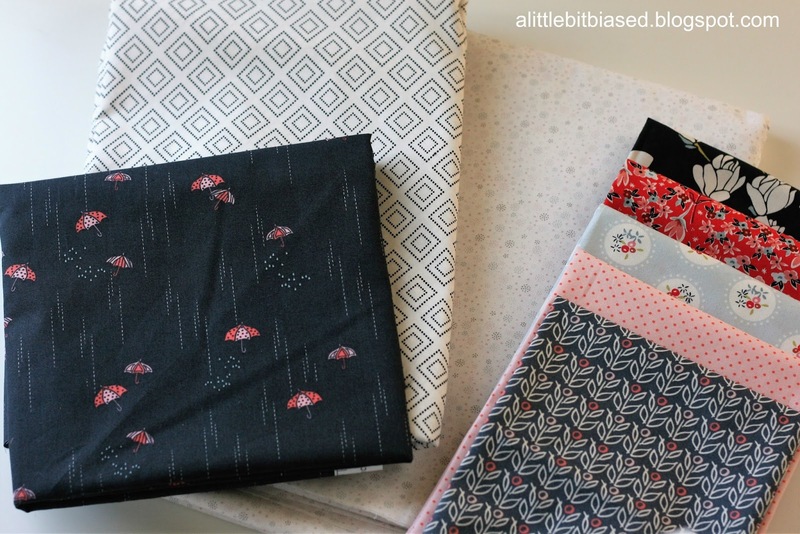 The rest of the fabrics are from the lines Charleston and Les Petites by Amy Sinibaldi for Art Gallery Fabrics. I can't wait to see Amanda's version. 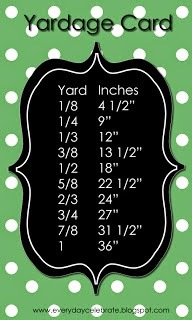 Be sure to stop by her blog, Jedi Craft Girl, today to see her progress! Cathy Barney in Alpine, UT. quilted mine with Modern Loops and did another fabulous job! For some reason, I'm super obsessed with this backing fabric! Navy = yum! If you look close at the binding you can see some little umbrellas - so sweet. 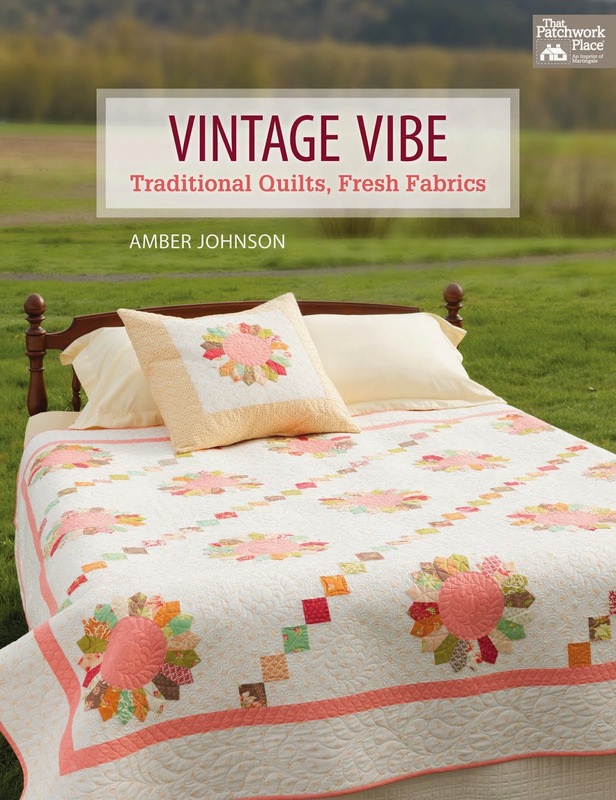 Charleston by Amy Sinibaldi is beautiful and so soft! My sweet dog, Molly approves and I hope you do too! Thank you for stopping by today. I hope you will enjoy this free pattern. Click HERE for the PDF. 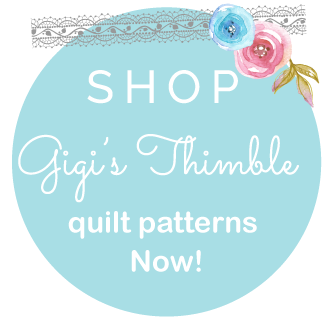 Please email or tag us on Instagram @jedicraftgirl and @gigis_thimble if you decide to make May Flowers (or any of our 5 Fat Quarter Fun patterns!) 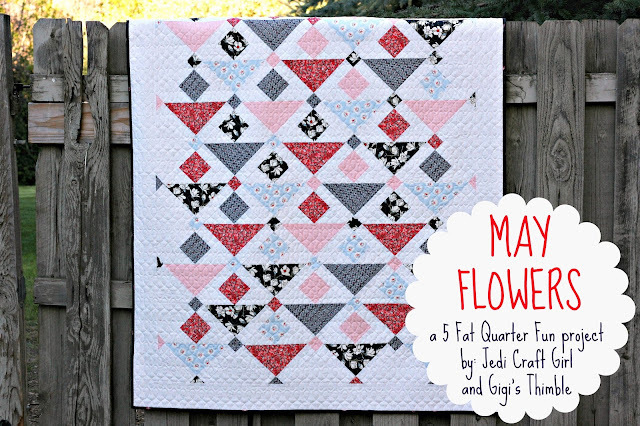 Be sure to use the hashtags #fivefatquarterfun and #mayflowersquilt. Have a happy May friends!